In 2015 animal rights group People for the Ethical Treatment of Animals (PETA) filed a copyright infringement lawsuit on behalf of the macaque who took the infamous “monkey selfie,” claiming the animal is the legal owner of the photo. With the help of an intellectual property law firm it filed suit against the nature photographer whose camera was grabbed by a curious monkey and used to snap a picture of the ape's big toothy grin. The picture became a viral hit in 2011. 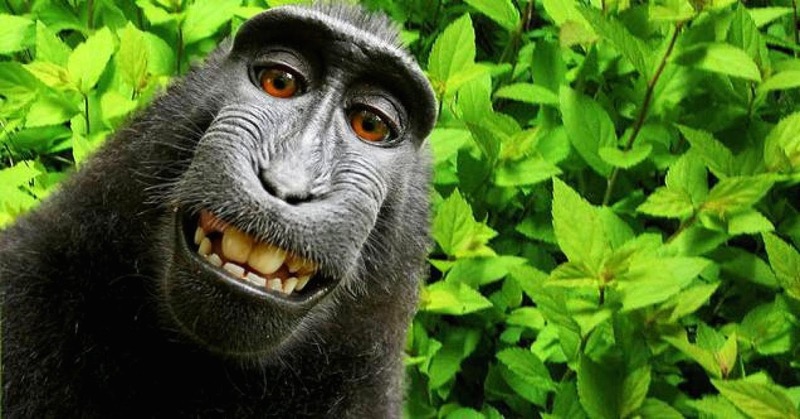 In 2016 a California federal judge issued a written ruling explaining his decision to toss the PETA "monkey selfie" lawsuit. He ruled there was no indication that Congress believed nonhuman animals could be authors that have standing to sue under the Copyright Act. The Judge noted "The Copyright Office agrees that works created by animals are not entitled to copyright protection … It directly addressed the issue of human authorship in the Compendium of U.S. Copyright Office Practices issued in December 2014." A picture of Naruto’s Selfie was used as the example by the Copyright Office. Following the Judge’s decision, PETA's general counsel claimed the group would "continue to fight for Naruto and his community, who are in grave danger of being killed for bush meat or for foraging for food in a nearby village while their habitat disappears because of human encroachment." And fight they did with an appeal to the Federal 9th Circuit Court of Appeals. During oral argument before a Ninth Circuit panel one of the judge pressed the PETA attorney on how an ape has been harmed by the alleged copyright infringement of a famed monkey selfie, “There’s no way for the monkey to acquire or hold some money, there’s no loss to reputation. There’s not even an allegation that the copyright could have benefited somehow Naruto. What financial benefits apply to him? There’s nothing." To the relief of all, PETA agreed in September 2017 to drop the infringement claims and in return, the nature photographer will pay 25 percent of any future proceeds from the "monkey selfie" toward related conservation charities. Common Sense Counsel: Be careful not to let your pet click the selfie. On November 13, 2017, the Department of Transportation (DOT) published a final rule in the Federal Register (82 FR 52229)(much of this update is taken from the extremely well written release by ODAPC). The rule, among other items, added four semi-synthetic opioids (i.e., hydrocodone, oxycodone, hydromorphone, oxymorphone) to the testing panel for all DOT regulated employees including FMCSA, PHMSA, FAA, USCG, FRA and FTA. It also added methylenedioxyamphetamine (MDA) as an initial test analyte and removed the testing for methylenedioxyethylamphetaime (MDEA). When is the final rule effective? The final rule is effective January 1, 2018. What does this mean for employees? In addition to DOT 5 panel, you will also be tested for four semi-synthetic opioids (i.e., hydrocodone, oxycodone, hydromorphone, oxymorphone). Some common names for these semi-synthetic opioids include OxyContin®, Percodan®, Percocet®, Vicodin®, Lortab®, Norco®, Dilaudid®, Exalgo®. In addition, you will no longer be tested for MDEA. What does this mean for employers and Consortium/Third Party Administrators (C/TPA)? As an employer or C/TPA, you will no longer be required to submit blind specimens to laboratories. What does this mean for urine collectors? The shy bladder process has been modified so that the collector will discard any specimen provided during the collection event when the employee does not provide a sufficient specimen by the end of the three hour wait period. What does this mean for laboratories? Need to modify the reports [in Appendix B & C] you provide to employers and the DOT. What does this mean for Medical Review Officers (MRO)? · The timing when you communicate a significant safety risk or medically unqualified decision under 40.327 has been modified. [amended 40.135(e) to add a five business day pause period for the Driver’s prescribing physician to contact the MRO to determine if a non-impairing effect drug/treatment can be prescribed so that the MRO would not be required to make a safety concern or medically disqualified report to the employer]. What does this mean for alcohol technicians? The list of NHTSA-approved Alcohol Screening Devices and Evidential Breath Testing Devices will appear on ODAPC’s website. What does this mean for service agents? · Collectors, alcohol testing technicians, MROs, and Substance Abuse Professionals will be required to subscribe to ODAPC's list-serve at: https://www.transportation.gov/odapc/ListServe_Notices. · Unauthorized use of DOT-branded items (such as logos or emblems) on a service agent’s website, publications, etc., could be a basis for the DOT to initiate a Public Interest Exclusion proceeding. What are some of the other changes to Part 40? The DOT added a new section reiterating that, in the DOT testing program, only urine specimens can be collected and analyzed at HHS-certified laboratories. The DOT added language further emphasizing the existing DOT prohibition on the use of DNA testing on DOT drug-testing specimens. The final rule made minor modifications to certain section headings. The final rule moved the list of Substance Abuse Professional certification organizations from the rule text to ODAPC's website. The final rule moved the MIS instructions from Appendix H to ODAPC’s website. Outdated compliance dates were removed and links were updated. Appendices B, C, D, and H were updated. Where can I find a copy of the final rule? You can view the final rule on ODAPC’s web site www.transportation.gov/odapc/frpubs. 7. DOT employers should amend their DOT FMCSA Policy to give Drivers fair notice that the DOT Employer under 49 CFR Part 391.11, has the final authority to make fitness for duty disqualification determinations for its FMCSA Drivers. If you need policy support, or additional information contact Tommy Eden, a Partner with Constangy, Brooks, Smith & Prophete, LLP at teden@constangy.com or Direct: 334-246-2901/ Cell: 205-222-8030. Blog at www.alabamaatwork.com with links. Firm website: www.constangy.com . Link to Notice to DOT Regulated Employees of New Testing Panel. With the high-profile sexual harassment #MeToo movement it is a good idea to develop your employer’s plan. 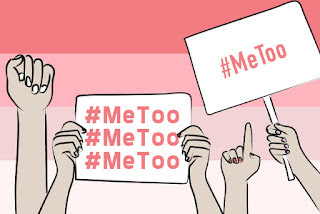 The movement features women posting #MeToo on social media, or in high profile TV spots, to indicate they were sexually harassed at some point in their lives. The goal of this hashtag is to draw attention to the magnitude of these previously unreported problems. Sexual harassment in the workplace is unlawful under Title VII. However, being a “total jerk” or “just creepy” is not itself illegal or actionable unless that supervisor, manager, Hollywood producer, is just a total jerk or just creepy to women only. A #MeToo message implies that her boss may have sexually harassed her which may put your organization at risk. Now that you, wearing your employer hat, have seen the post, what comes next? Bury your head in the sand? Ignore it? Or Be Proactive? Take action today like Speaker Ryan to nip it in the bud? First Question: What does your Anti-Harassment Policy say? Anti-harassment policies should include specific reporting mechanisms for employees who believe they have been subjected to unlawful harassment or discrimination. There should be two distinct reporting procedures such as call 1-800 number, or contact a specific HR representative or specified high ranking company official by title. Make sure you are specific to debunk a report that never was made. Once a complaint is submitted, the policy should provide for a prompt contact back to the employee (within 48 hours) and then a thorough (legally defensible) investigation into the allegations. There is much more I could say on the legally defensible stuff but you get the point. 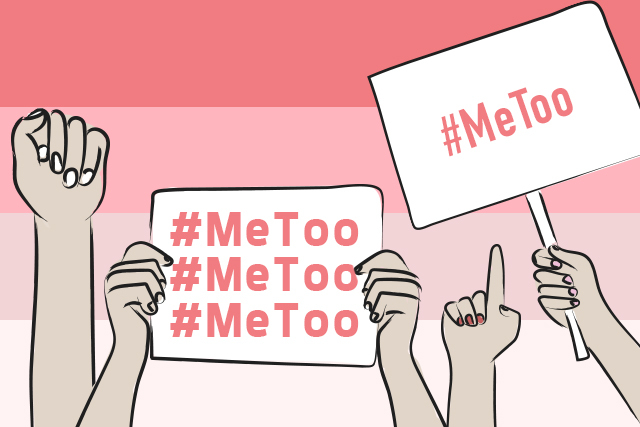 In addition to potential harassment claims, EEOC Charges, Lawsuits, totally distracted workforce, the #MeToo post reveals that your employees might benefit from anti-harassment training. Employers should strive to ensure that employees understand its anti-harassment and anti-discrimination policies and reporting procedures, as well as its commitment to preventing and correcting unlawful behavior in the workplace. The best way to do that is video training, smartphone is OK, with a request for all employees to again sign the policy. Also, great time to update your policy with a workplace civility anti-bulling policy as well. Employer training should not be focused solely on avoiding liability but also should be designed to proactively eliminate harassing and disrespectful conduct, and create a workplace environment where it is all about respect. In fact, let’s start a #MeTooItsAllAboutRespect movement! Ronald DiFabio executed a Confidentiality Agreement when he started employment with Keurig Green Mountain Inc. in which he promised that he would not, at any time, directly or indirectly, use any Confidential Information or disclose to anyone outside of Keurig any such Confidential Information. DiFabio further agreed that if he ceased to be employed by Keurig at any time, he would immediately return any property belonging to Keurig. After DiFabio left his employment with Keurig to join SharkNinja, he violated his obligations to Keurig under his Confidentiality Agreement by asking Keurig employees to email him Keurig internal organizational charts and proprietary information about the merchandising teams at several of Keurig’s retail customers, according to a Verified Complaint filed by Keurig in Massachusetts Federal District Court this week. (Link:https://drive.google.com/file/d/1SgbH71-_qj3sMXxPPeAF7F8A8Zg6Qm6J/view?usp=sharing) Also alleged is that before his resignation from Keurig in late 2016, DiFabio removed at least nine electronic files containing Keurig’s confidential business information and/or trade secrets from Keurig’s electronic systems, as well as hard copies. He then loaded them, or “migrated them” onto SharkNinja’s electronic systems. Co-worker Steven Turner, who signed the identical Keurig Confidentiality Agreement, resigned from Keurig in 2017 to join DiFabio at SharkNinja. According to the same Federal Court Complaint, Turner violated his obligations to Keurig under his Confidentiality Agreement by emailing, to his personal email account, and a short time before his resignation, Keurig’s Confidential Information, including highly confidential business, marketing and sales plans prepared by Keurig relating to one of Keurig’s largest customers Bed Bath & Beyond, which included a power point presentation to the customer. This week Keurig filed suit against both employees under the Defend Trade Secrets Act (“DTSA”) which provides a federal cause of action to the owner of a trade secret that is misappropriated and is related to a product or service used in (or intended for use in) interstate commerce. 18 U.S.C. §1836(b). The Complaint included a claim under the Computer Fraud and Abuse Act (“CFAA”) which provides a private right of action where a party knowingly and with intent to defraud, accesses a protected computer without authorization, or exceeds authorized access, and by means of such conduct furthers the intended fraud and obtains anything of value. 18 U.S.C. §1030(a)(4). Common Sense Counsel: CFAA and the DTSA are significant weapons to combat employee trade secret theft. Be prepared to quickly take these steps now: 1) update all non-disclosure agreements, confidentiality agreements, employment agreements, consulting agreements, and independent contractor agreements to include new DTSA non-disclosure provisions to include the required notice signed by all employees; 2) documents containing trade secrets should be labeled as confidential, their distribution should be limited, they should be maintained in secure areas, and individuals who are privy to such secrets should be trained on the nature of that information and how to safeguard it; 3) access to computer files containing such information should be restricted and tracked; 4) those with access should be trained on the files’ confidentiality; and 5) because trade secrets litigation often involves violations of non-competition or non-solicitation agreements, be prepared to bring such claims in tandem with the DTSA and CFAA violations.